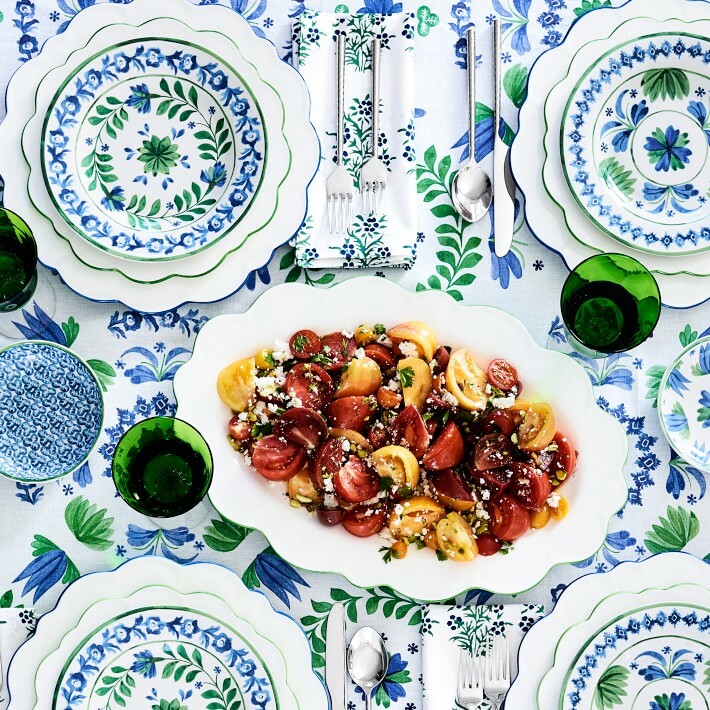 My favorite part about summer is the warm weather that allows for perfect evening barbecues. To me, there’s nothing better than firing up the grill and having a nice cold drink with your friends and family. 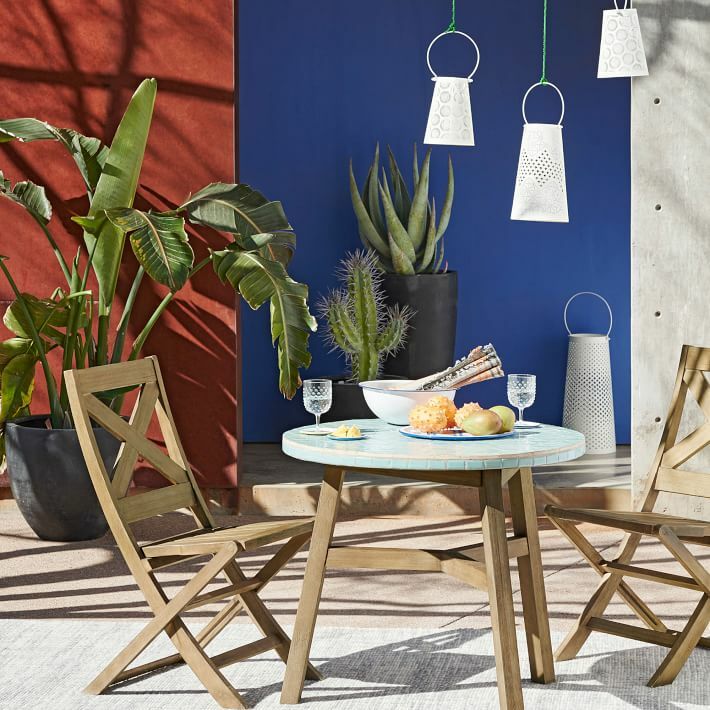 Since we love to spend so much time outside enjoying the warmth, it’s important that our backyard feels just as comfortable as our living room. Luckily, there are so many different products that are great for both indoor and outdoor use. This is perfect for when you need to grab extra chairs and cushions from inside to accommodate extra guests! 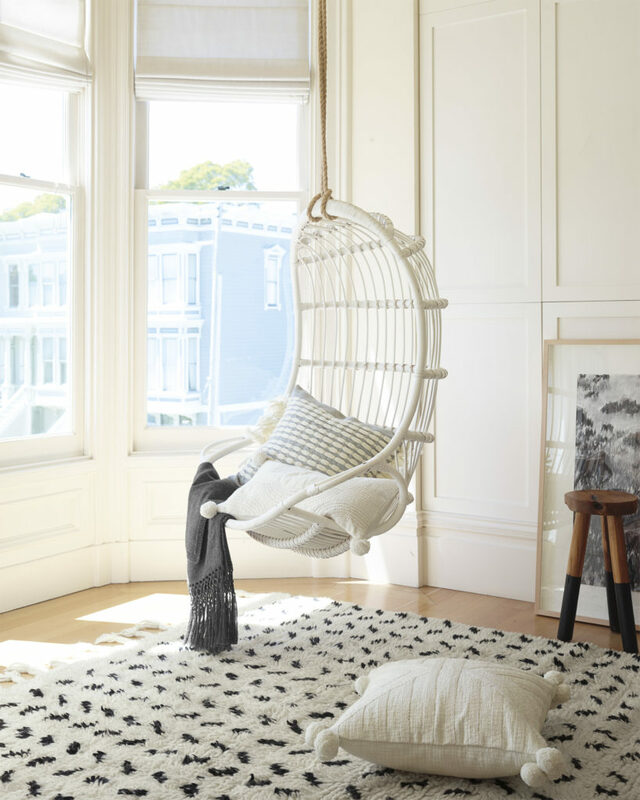 I love the playfulness of this hanging rattan chair. We got to test a few out last year at the Design Market, and were pleasantly surprised by how comfortable they were! 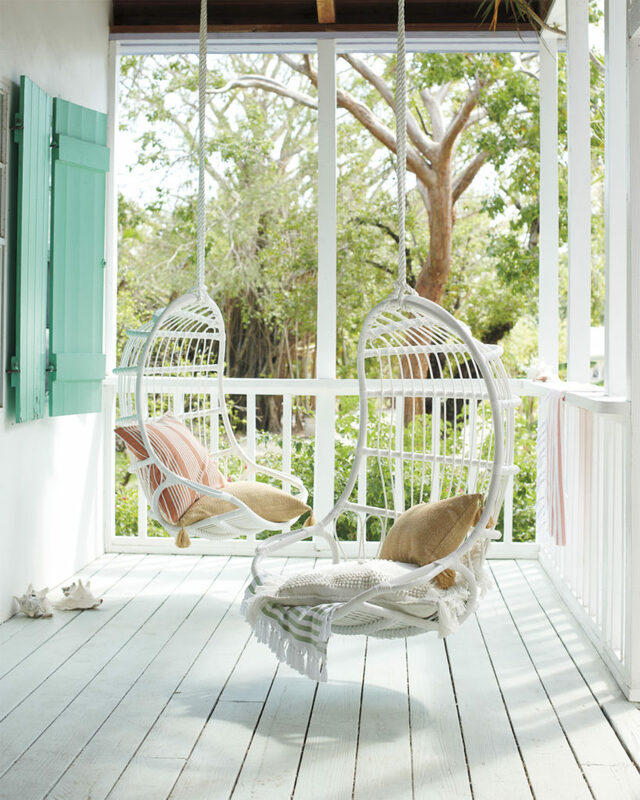 If you don’t have the right space for a hanging rattan chair, consider one like this to achieve that same beachy, laid back vibe. Living on Cape Cod, we are admittedly a little Lilly Pulitzer obsessed. 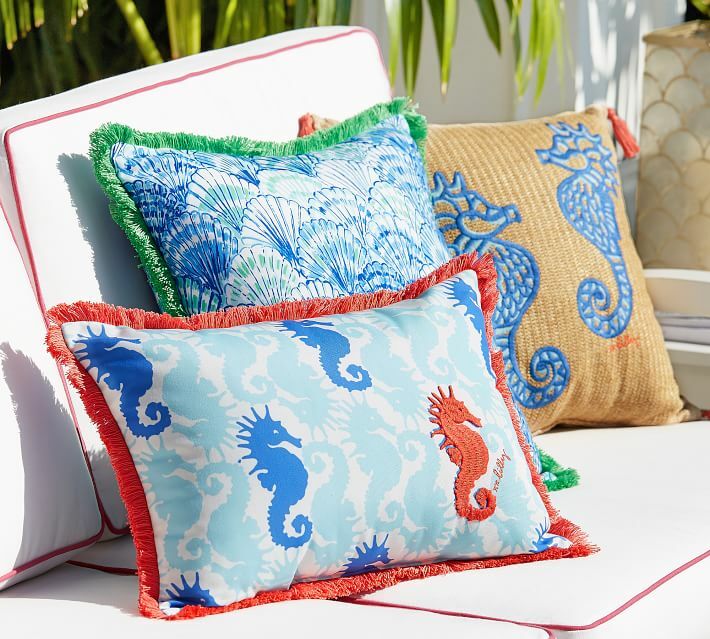 So, when we heard about their collaboration with Pottery Barn, we knew it would be a dream come true. 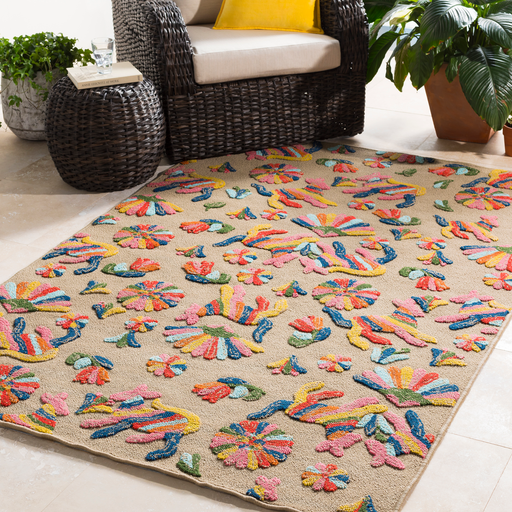 Probably the indoor/outdoor product that we use most frequently is an easy-care rug. Of course you need the outdoor rating if you will be using them outside, but they are a great option for homes with pets and children because of their low maintenance and incredible durability. 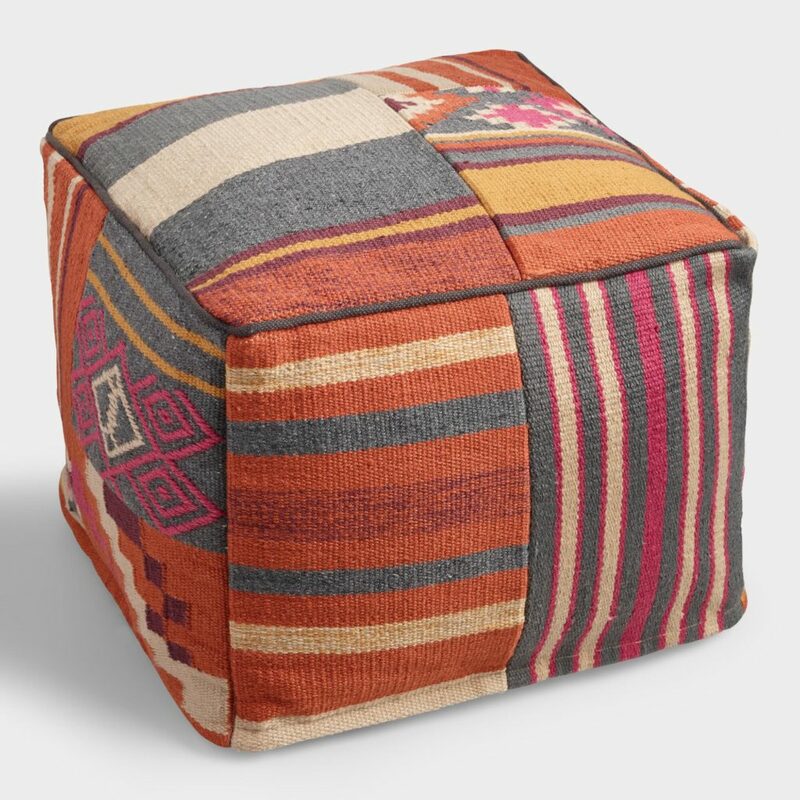 These same fabrics can be used to cover furniture like ottomans, too! 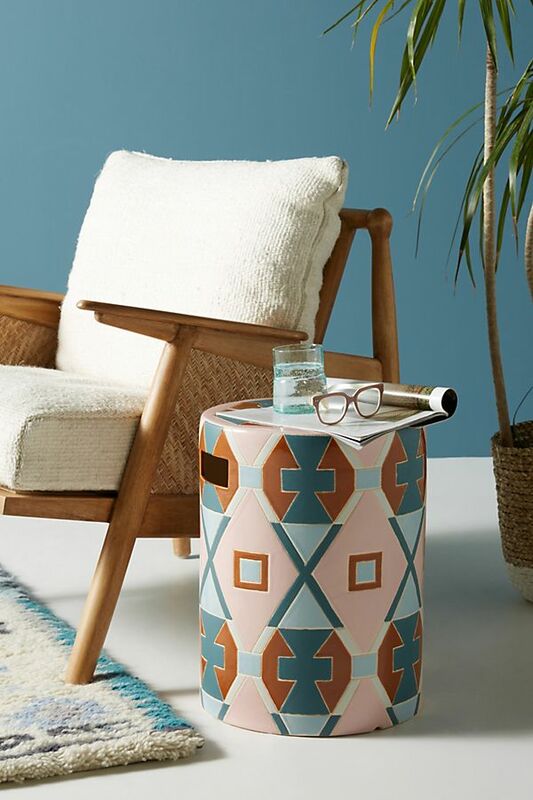 Garden stools come in all sorts of fun colors and patterns. These are such a great way to add a funky pop to your decor! 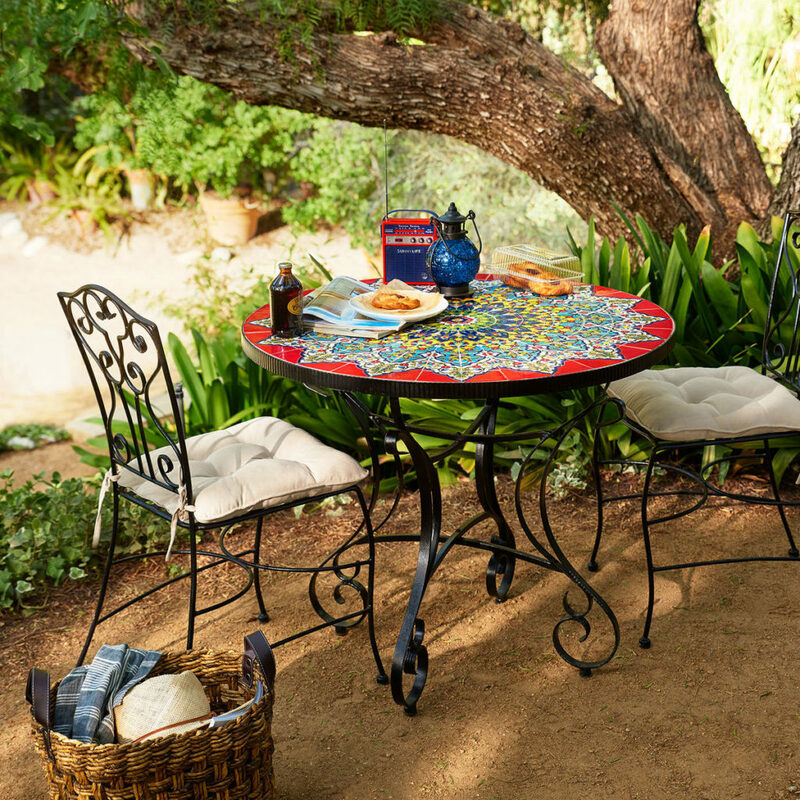 We feel like no patio is truly complete without a drink station. 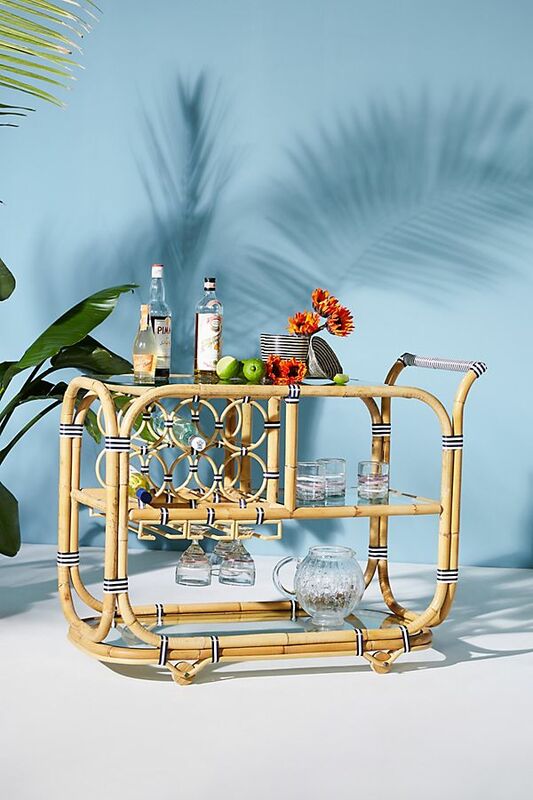 And a tropical-style rolling bar cart? We’re sold. 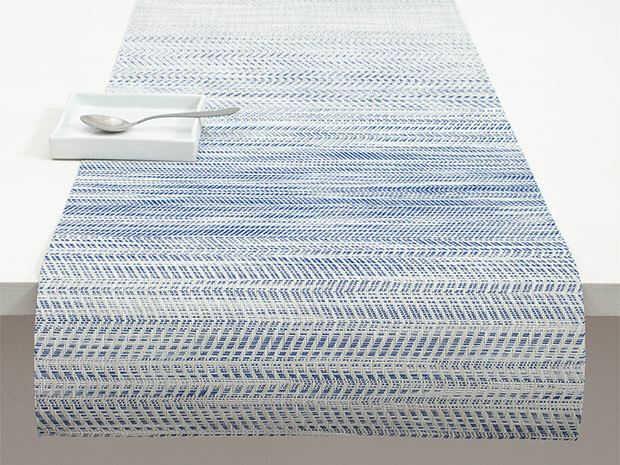 Our go-to placemats and table runners are perfect for your table inside or out. 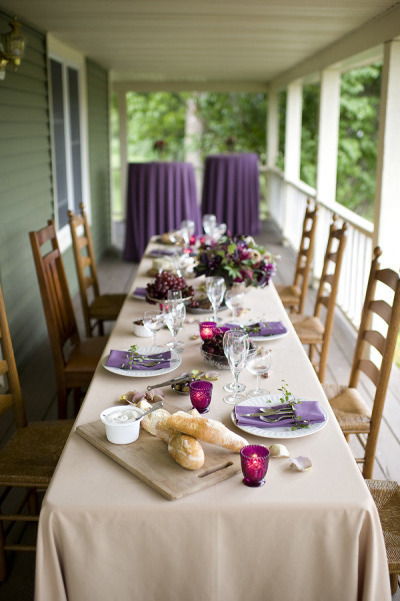 Life is too short to worry about food stains on your table linens, so we love these products for their stress-free maintenance! We do love to have a set of outdoor drink ware in our cabinets that might be a bit more festive than your every day glasses. How fun are these?! 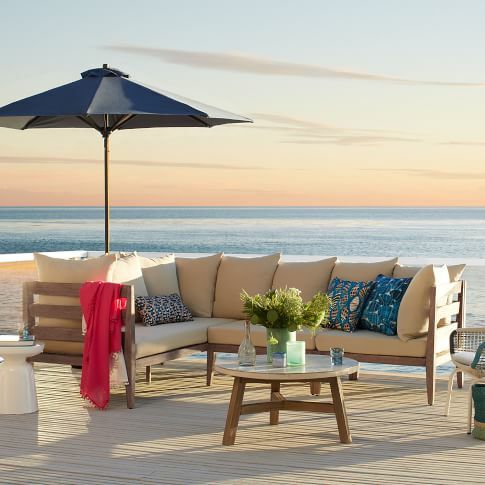 What products are your go-to for indoor/outdoor decor? We’d love to hear your ideas in the comments! Happy BBQ-ing! Bringing The Bistro to You! 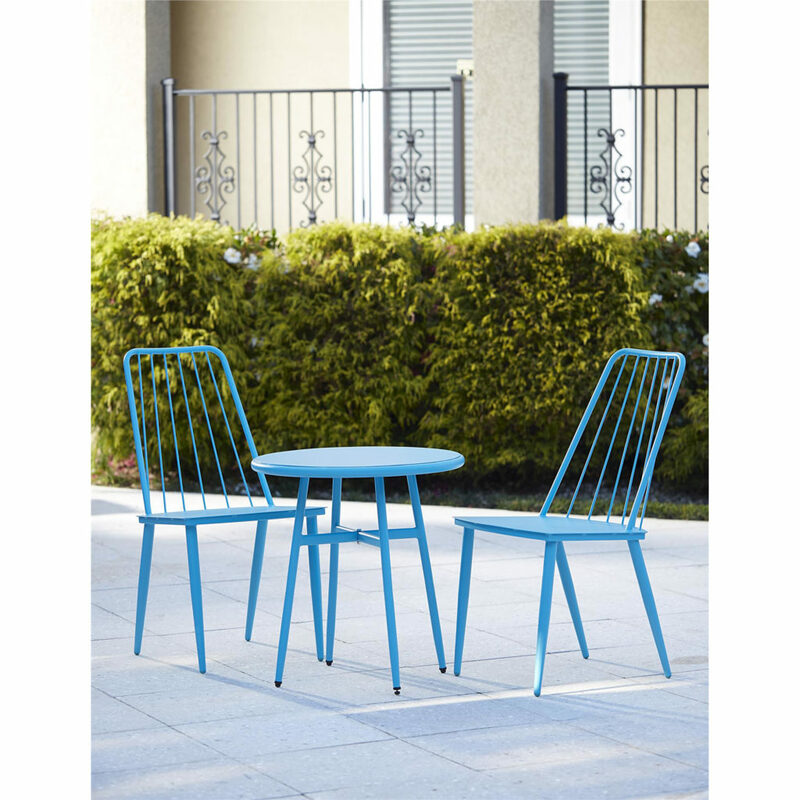 This week is me and my husband’s first wedding anniversary, and I wanted to surprise him with a new bistro set for our patio to enjoy our Sunday “wine & cheese night” rituals outside. 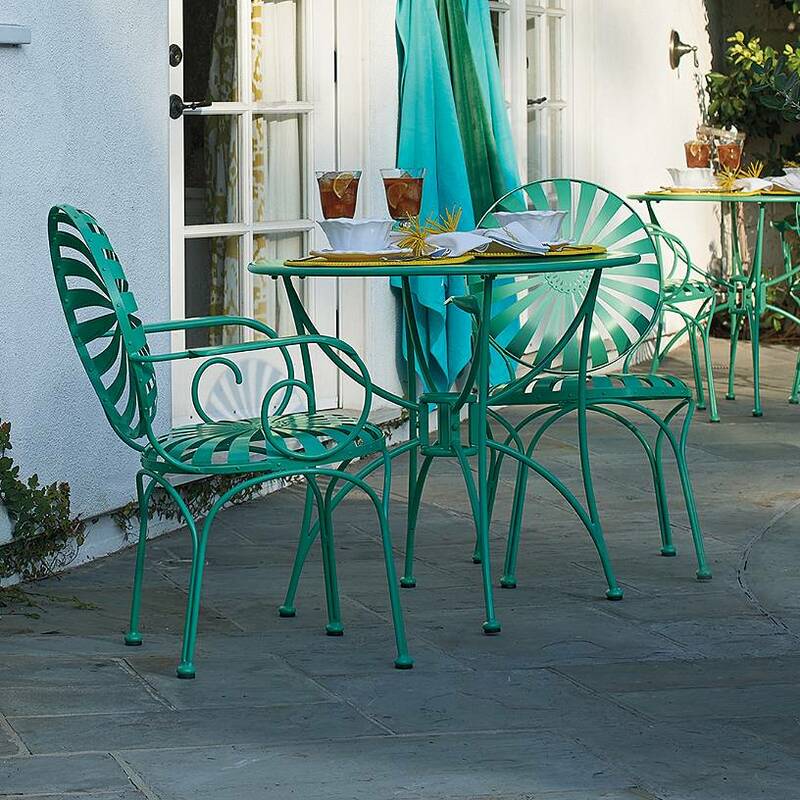 As I was searching for the perfect one for our home, I found so many fun, vibrant bistro sets, that it was hard to choose only one! 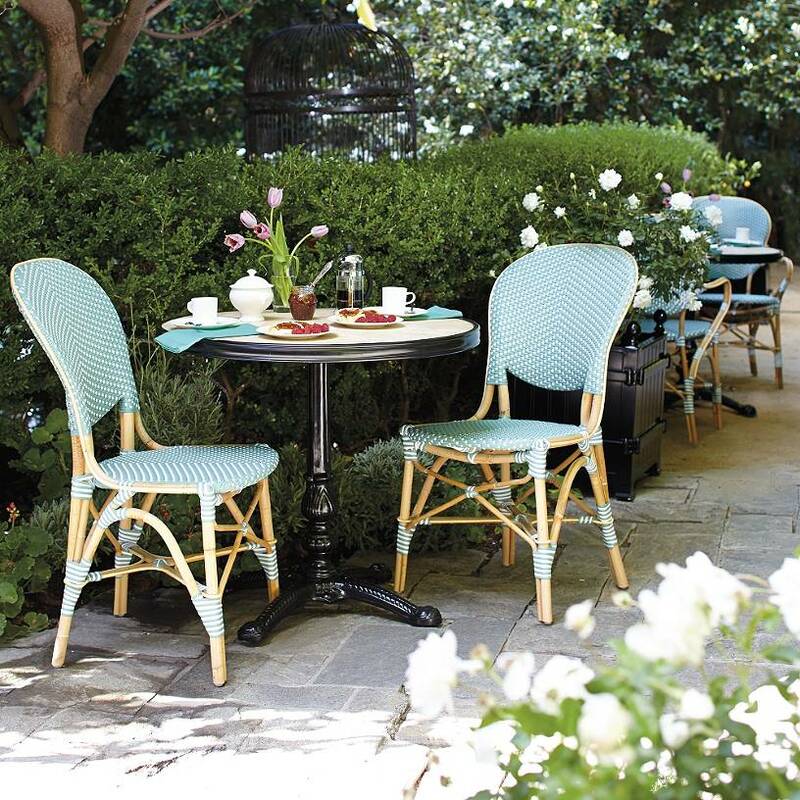 For my home, I chose a classic, vintage, Parisian style set that I found at a local antique shop here in San Diego. 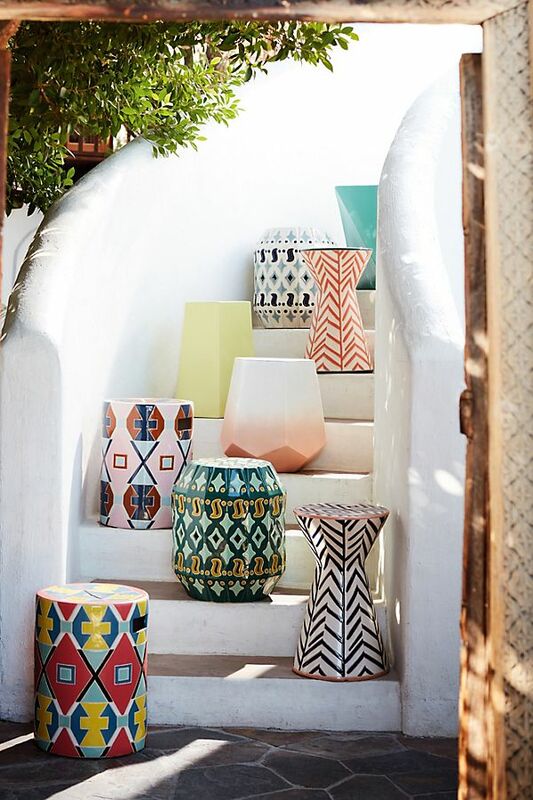 While browsing through my favorite brands online, as well as the beautiful antiques down the street, I was loving all of the different styles, colors, and materials that are out there. 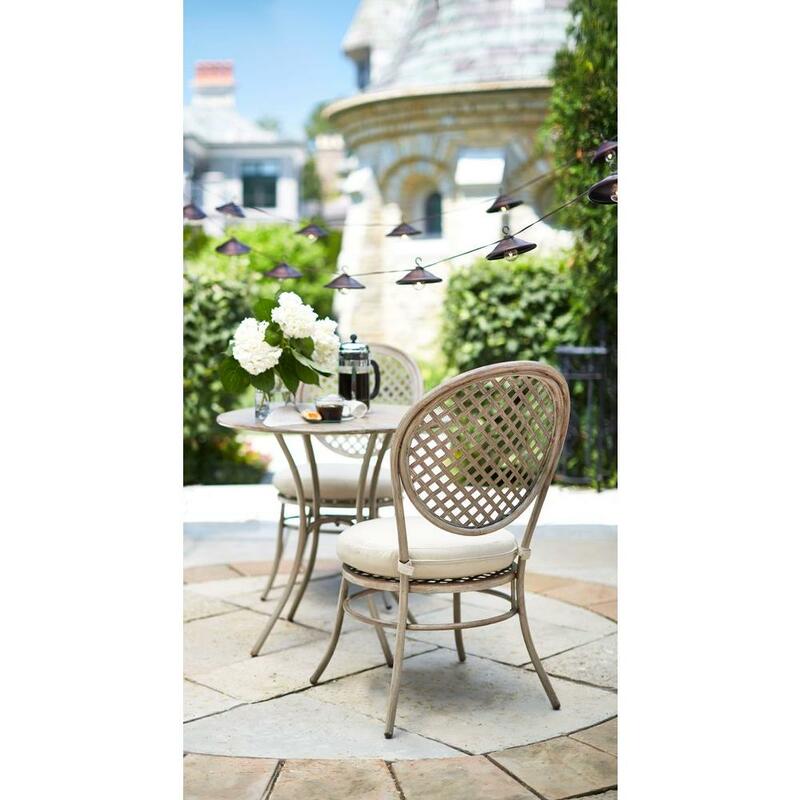 Bistro sets are really just the perfect pieces to have to go a little out of your comfort zone, and add some real pop and pizazz to your patio! I hope some of these favorites will inspire you just like they did for me! 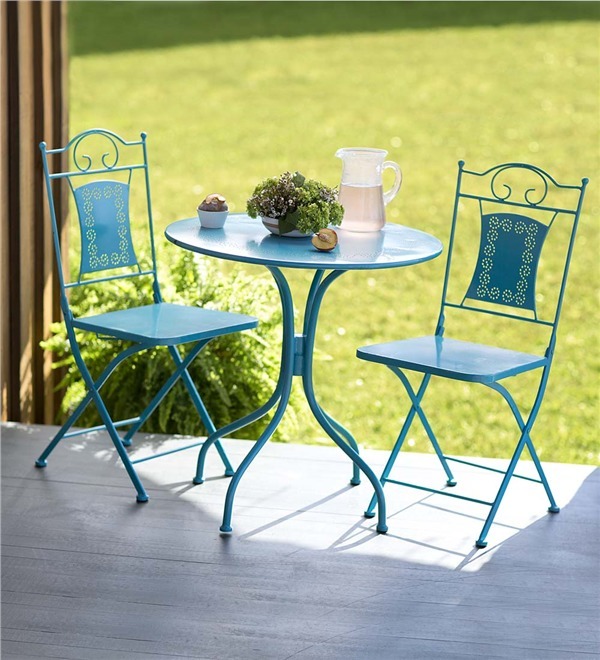 How would you decorate your bistro set once you found one you loved? 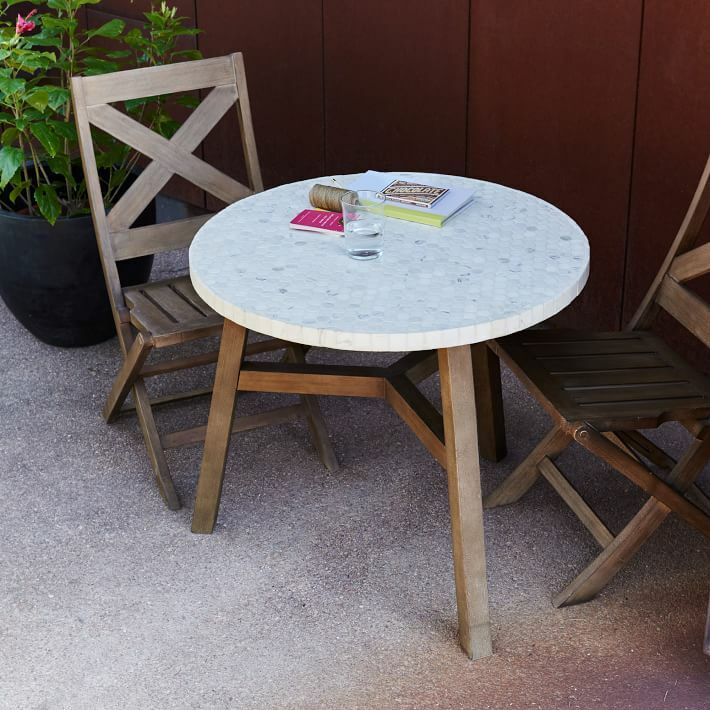 Would you leave it bare, add some cushions, or maybe a vase on the table? The temperature hit 80 degrees in Boston yesterday! The first time since last October! The warm weather makes me want to spend all my free time outside. Unfortunately, the past winter did a job to my porch, requiring a fresh coat of paint, some new cushions for the furniture, and an overall sprucing up. 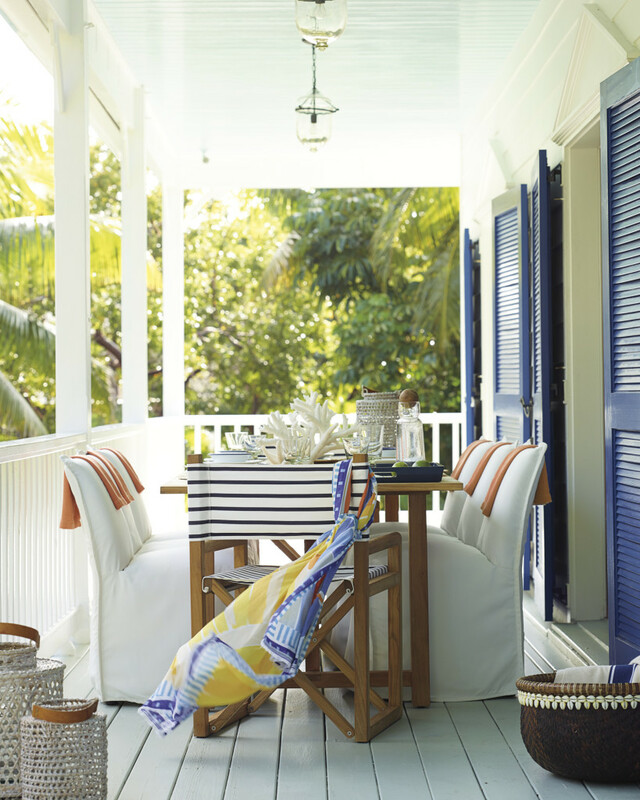 Here are some ideas to freshen up your porch. 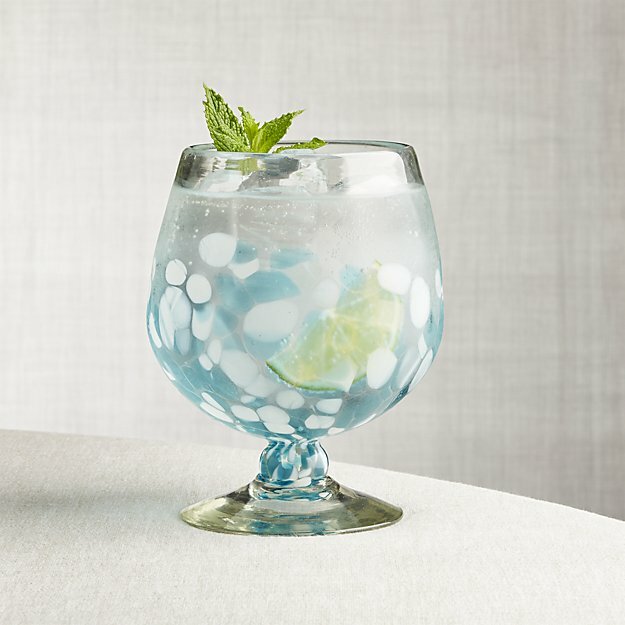 Get started now, and you’ll be out there sipping sangria by June! 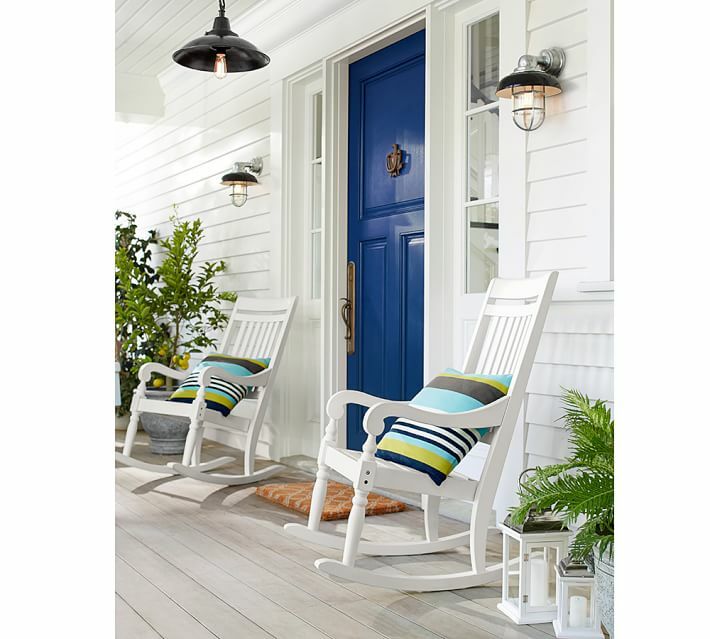 White rockers are one of my favorite porch pieces. Even if I’m not sitting there, just looking at them makes me relax. Navy and white are such a great combination. I love this navy door! More navy and white! 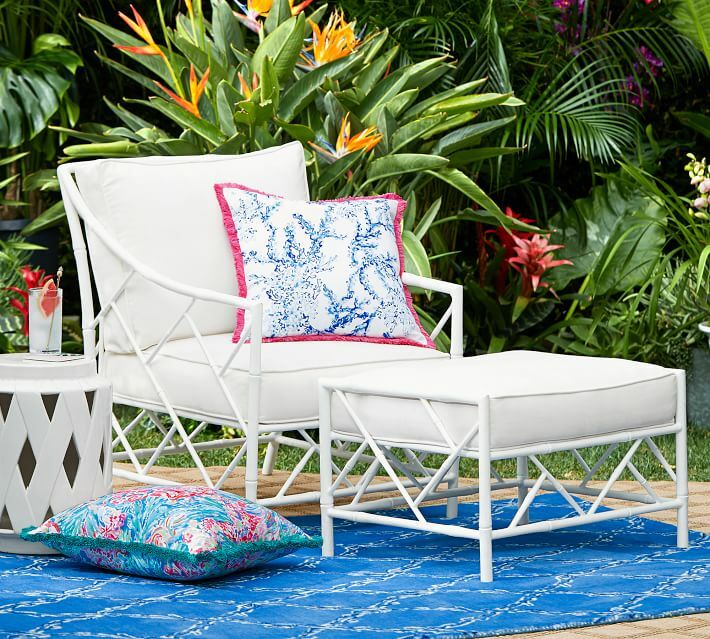 Think about slipcovers for your furniture – use a white indoor/outdoor fabric and then throw them in the laundry (with bleach!) and they’ll look fresh for many summers! If you have the room, think about arranging your furniture in a circle with a nice big round coffee table (perhaps one with a fire pit in the middle). Such a great place to sit with friends on a summer night! Maybe it’s a bit of nostalgia, but I love porch swings. These are nice and deep to cozy up with a good book, or to relax and take a well deserved nap! For those of you in Southern California and in the warm South, I’m envious of your year-round ability to sit outdoors. 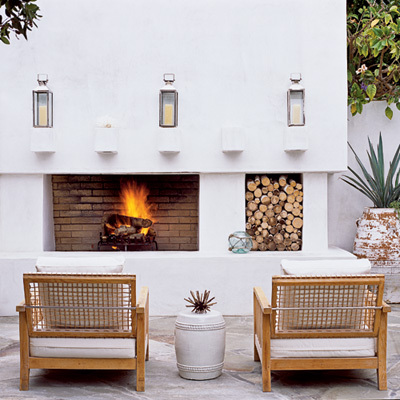 An outdoor fireplace is perfect for when the nights start to get a little chilly! 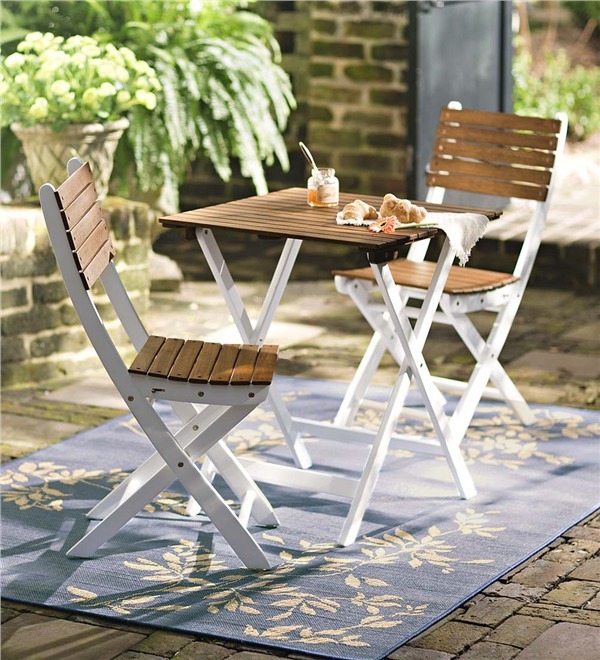 Natural fibers are a great option for porch furniture. 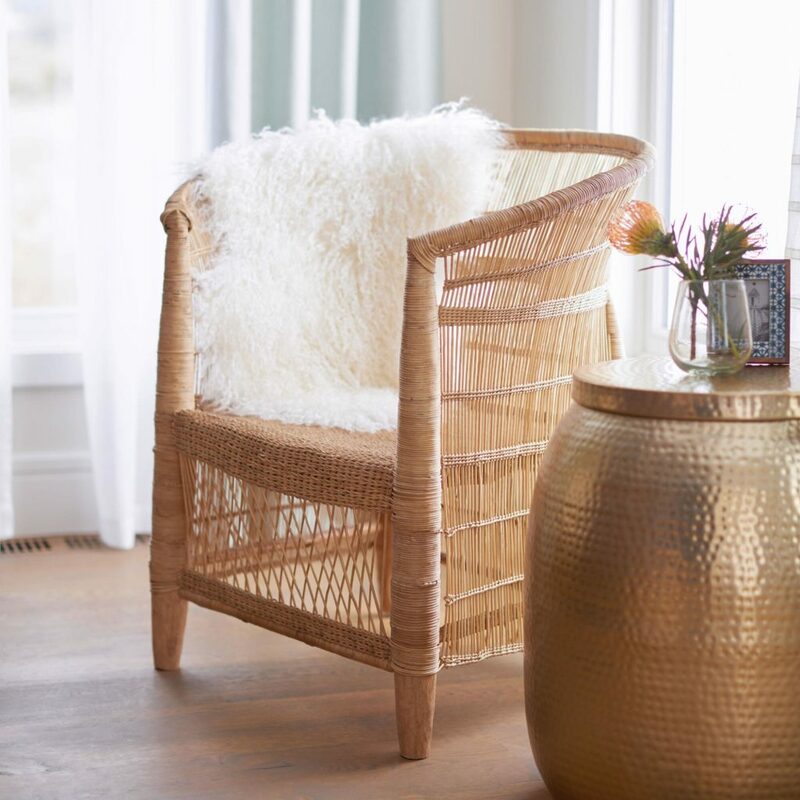 I love the casual elegance of a wicker, seagrass, or rattan chair. Who says chairs have to match?? 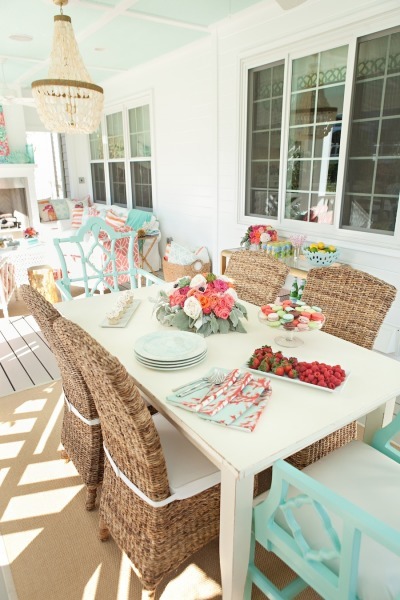 A porch is a perfect opportunity to break out of your matchy-matchy decorating traditions! And, of course, a sofa or sectional to stretch out and relax on is a luxury you owe yourself! 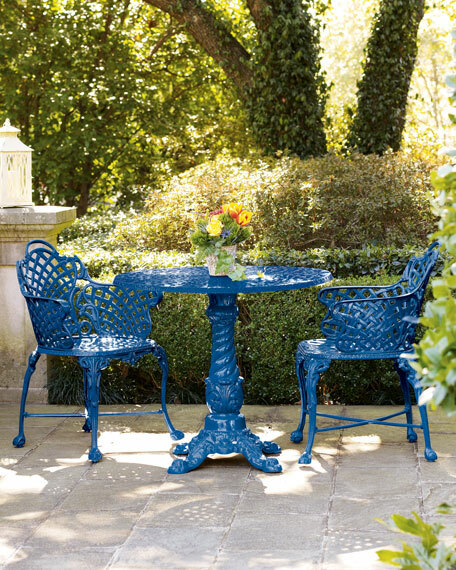 Whatever your porch space, large or small, screened or open, make it a special place to go and enjoy the beautiful days ahead!! 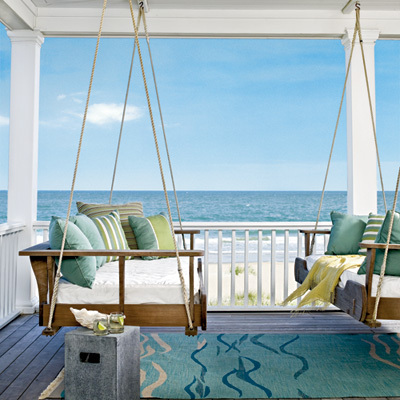 What will your porch look like this Summer?